Liposuction is one of the most common body contouring procedures performed by board-certified plastic surgeon, Dr. Dean Kleto. It is important to understand that liposuction is a body contouring procedure and is not intended for weight loss. Liposuction can be used to safely remove excess fat from targeted areas of your body, but should not be used as an alternative to a healthy lifestyle. Dr. Kleto can discuss your candidacy and answer all of your questions about liposuction during your initial consultation. During your initial consultation with Dr. Kleto, he will carefully evaluate your body and listen closely to your concerns. Together, you can determine what areas would benefit most from liposuction, and work to achieve the body you have always wanted. 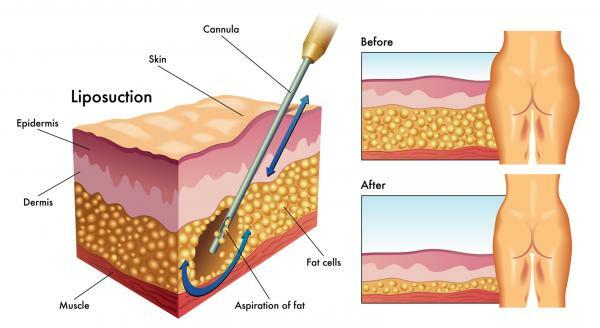 The procedure for liposuction is relatively simple. Dr. Kleto will make a small incision in the area being treated through which excess fat can be removed. There are various methods Dr. Kleto may employ to assist in the breaking up of fat deposits. This will be determined on a patient by patient basis. Once sufficient fat has been removed, Dr. Kleto will suture the incision, and provide you with compression garments to be worn during the recovery phase. Recovery from liposuction is generally very quick. You should be able to return to work within a few days, and resume most normal activities within a few short weeks. Dr. Kleto will work with you during this time to assist with any swelling or pain you may experience, and also to let you know when it is safe to resume all of your normal activities. During the recovery period, you should continue to wear your compression garments. These will help reduce swelling and assist your body in maintaining its new contour and slimmer shape. In addition to compression garments, physical activities such as walking will help reduce swelling and discomfort. Read more about liposuction & body contouring procedures in our blog! To improve and maintain the look you achieve with liposuction, Dr. Kleto recommends adopting a healthy lifestyle. Getting plenty of exercise and eating a healthy diet will be very beneficial in extending the results of your procedure. It is also advised that you do not smoke, either during your recovery process or once you have healed. Smoking can make recovery more difficult, and can lead to an inactive lifestyle. For more information on liposuction in Knoxville, Sevierville, or Knox County, Tennessee, please contact Dr. Dean Kleto to schedule an initial consultation.